strawberry & yogurt parfait | what is clara eating today? Puree strawberries until smooth. mix in stevia and cinnamon unit well combined. Mix Yogurt, Cream, and Syrup well together until smooth. 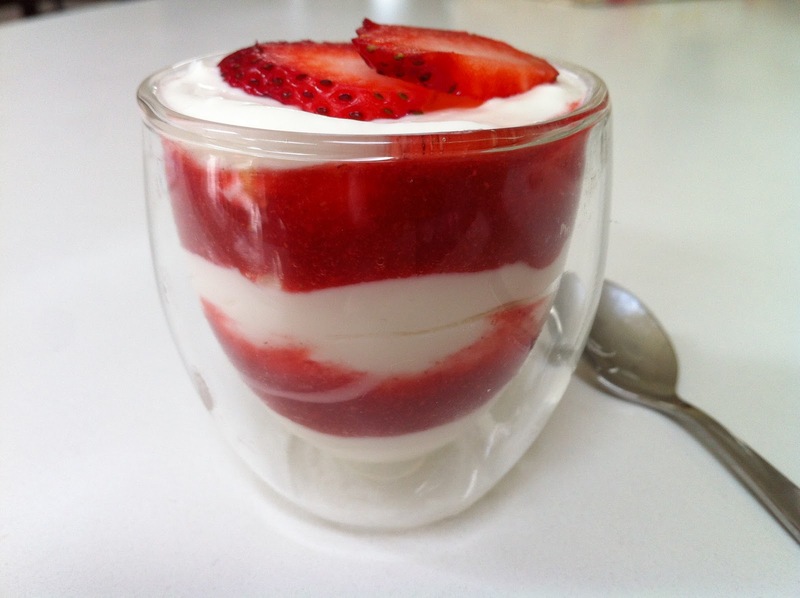 In a glass cup, Spoon in 1/3 of the yogurt, then spoon in strawberry puree, and repeat layering. Keep it in refrigerator until ready to serve.